[Sunday, October 2, 2011] The 100 Year Starship Public Symposium wrapped up today in Orlando, Florida. The event promoted a compelling dialog among academia, business, the public and government about issues related to long term, long distance exploration. [Monday, October 3, 2011] NASA conducted a 40-second test of the J-2X rocket engine Sept. 28, the most recent in a series of tests of the next-generation engine selected as part of the Space Launch System architecture that will once again carry humans into deep space. [Monday, October 3, 2011] NASA announced the addition of United Launch Alliance's (ULA) Delta II rocket to the NASA Launch Services (NLS) II contract. [Monday, October 3, 2011] NASA's Kennedy Space Center and the Economic Development Commission (EDC) of Florida's Space Coast are formally renewing their economic development partnership. [Tuesday, October 4, 2011] NASA has awarded the largest prize in aviation history, created to inspire the development of more fuel-efficient aircraft and spark the start of a new electric airplane industry. [Tuesday, October 4, 2011] The two Galileo In-Orbit Validation satellites reached Europe's Spaceport last month. Galileo's second flight model, FM2, touched down on 7 September on an Antonov-124 and the Galileo Protoflight Model followed it seven days later on an Ilyushin 76. [Wednesday, October 5, 2011] NASA has selected nine proposals to demonstrate new technologies for the second set of payloads to fly on commercial suborbital reusable launch vehicles and the Zero-G commercial parabolic aircraft. [Wednesday, October 5, 2011] The recent reentry of the Upper Atmosphere Research Satellite into the Pacific Ocean has focused new attention on the problems created by orbital debris. [Wednesday, October 5, 2011] Strong agreement was voiced on the need for Space Situational Awareness by delegates representing a wide range of stakeholders at an SSA seminar in Warsaw while exchanging views and ideas on the future direction of Europe's capabilities. 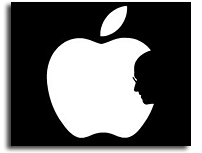 »» Be like Steve Jobs. Stay Hungry. Stay Foolish. [Thursday, October 6, 2011] Steve Jobs was a 6 months older than me. I am certainly not done with life. Given his tectonic impact, he was clearly not ready either - even if he had faced his fate. [Friday, October 7, 2011] NASA announced it will provide support to Space Adventures, Ltd. of Vienna, Va., to conduct a global competition for students to design experiments that will be performed in space and broadcast around the world. [Monday, October 10, 2011] GPS III will improve position, navigation and timing services and provide advanced anti-jam capabilities yielding superior system security, accuracy and reliability. [Monday, October 10, 2011] Six regional finalists will gather in Washington, D.C., in March 2012 to experience a ZERO-G flight and receive other prizes. »» Video: Galileo: how does it work? [Tuesday, October 11, 2011] The launch of the first pair of Galileo satellites, set for October 20, will open the road for Europe's satellite navigation programme. [Tuesday, October 11, 2011] Virgin Galactic is pleased to announce the appointment of former NASA executive Michael P. Moses as the Vice President of Operations. [Tuesday, October 11, 2011] Today, Space Florida President Frank DiBello and Rees Ward, A|D|S Group, Ltd., CEO signed a Memorandum of Understanding (MOU) to further enhance business development opportunities between Florida and the UK in the aerospace sector. [Wednesday, October 12, 2011] NASA is offering students the opportunity to compete in two microgravity challenges: "Dropping In a Microgravity Environment," or DIME, and "What If No Gravity?" or WING. [Wednesday, October 12, 2011] Guess what: the conclusions that NASA arrived at during these studies are in direct contrast to what the agency had been telling Congress, the media, and anyone else who would listen. [Wednesday, October 12, 2011] Engineers have been testing the spacecraft, called the Crew Space Transportation (CST)-100, since Sept. 17 at NASA's Ames Research Center in California. [Thursday, October 13, 2011] Virgin Galactic has confirmed an order from NASA for up to three charter flights on its privately-built spacecraft to provide opportunities for engineers, technologists, and scientific researchers to conduct cutting-edge experiments in suborbital space. [Friday, October 14, 2011] Today, Space Florida President Frank DiBello and Mr. Jaime Denis, Director General of the INTA, signed a MOU to further enhance business development opportunities between Florida and Spain in the aerospace sector. 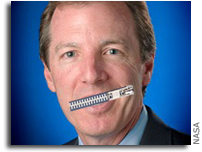 [Friday, October 14, 2011] How do we keep ARC innovative? How do we maintain our reputation as NASA's "go-to" Center for innovation? How do we stay at the nation's technology cutting edge? [Friday, October 14, 2011] The annual trade show is sponsored by NASA Kennedy Space Center's Prime Contractor Board and the 45th Space Wing and Canaveral Port Authority. It will feature about 175 business and government exhibitors from across the nation and Brevard County. [Friday, October 14, 2011] NASA, the National Reconnaissance Office (NRO) and the U.S. Air Force signed an agreement this week to establish clear criteria for certification of commercial providers of launch vehicles used for national security space and civil space missions. [Friday, October 14, 2011] The first Galileo launch is less than a week away, but how will Europe's own satellite navigation system operate? Find out in a new ESA video, on YouTube in 3D. [Friday, October 14, 2011] Today the U.S. Air Force issued a Memorandum of Understanding (MOU) with the NRO and NASA that serves as a joint agreement on the process they will use to allow new companies to compete to provide launch services. [Saturday, October 15, 2011] The first Soyuz to take off from Europe's Spaceport in French Guiana was moved to the launch pad yesterday. The rocket that will carry the first two Galileo navigation satellites into orbit is on track for liftoff on 20 October. [Sunday, October 16, 2011] Space technology experts from SSTL and the SSC have announced the four lucky winners of the 'Space App Competition' who will see their Android Applications run on smartphone-powered satellite STRaND-1, due for launch into space next year. [Monday, October 17, 2011] The C2V2 is a two-way communications system for use between the ISS and Visiting Vehicles (VVs) during rendezvous, proximity, departure, and docked operations. [Monday, October 17, 2011] This annual report, submitted as a memorandum from the Inspector General to the NASA Administrator, provides the Office of Management and Budget (OMB) with our independent assessment of NASA's information technology (IT) security posture. [Tuesday, October 18, 2011] Looking skyward, more than 800 guests marveled at Virgin Galactic's commercial space vehicles as they soared through the skies of southern New Mexico during the dedication ceremonies of Virgin Galactic's new home at Spaceport America. [Tuesday, October 18, 2011] Virginia Governor Bob McDonnell paid a visit to NASA's Wallops Flight Facility on October 17 for a first-hand look at the development of Orbital Sciences Corporation's Taurus II rocket that will start carrying supplies to the Space Station in 2012. [Tuesday, October 18, 2011] The report by the Government Accountability Office (GAO), the nonpartisan, investigative arm of the U.S. Congress, found serious flaws with a proposal that would guarantee ULA's monopoly over Department of Defense (DoD) launches. [Thursday, October 20, 2011] Today, SpaceX announced it has successfully completed the preliminary design review of its revolutionary launch abort system, a system designed for manned missions using its Dragon spacecraft. [Thursday, October 20, 2011] International Launch Services (ILS), a leading launch services provider for the global commercial satellite industry, successfully carried the ViaSat-1 satellite into orbit today on an ILS Proton for ViaSat, Inc. of Carlsbad, California. [Thursday, October 20, 2011] Today's launch of Soyuz with Galileo IOV is delayed. The launch countdown has been stopped and a new launch date will be announced later today. [Thursday, October 20, 2011] Following the work performed on the Soyuz launch facility and the associated additional checks, Arianespace has decided to restart the countdown operations for the launch of VS01, Soyuz ST-B - Galileo IOV-1. 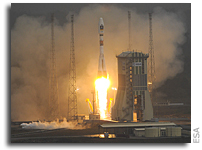 [Friday, October 21, 2011] Soyuz lifts off for the first time from Europe's Spaceport in French Guiana, carrying the first two Galileo In-Orbit Validation satellites. [Friday, October 21, 2011] U.S. Senators Roger Wicker (R-Miss. ), Thad Cochran (R-Miss. ), Mary Landrieu (D-La. ), and David Vitter (R-La.) on Wednesday introduced a resolution honoring the 50th anniversary of the John C. Stennis Space Center. [Sunday, October 23, 2011] DARPA's Phoenix program seeks to develop technologies to cooperatively harvest and re-use valuable components from retired, nonworking satellites in GEO and demonstrate the ability to create new space systems at greatly reduced cost. [Sunday, October 23, 2011] The twin of a Montana State University student-built satellite that was launched in the spring but failed to reach orbit as a result of an anomaly with the TAURUS-XL rocket is scheduled to be launched Friday, Oct. 28, on another NASA rocket. [Monday, October 24, 2011] GeoEye will be using Google Earth Builder to deliver a new set of imagery services that will make it easy for any Google Earth(TM) or Google Maps(TM) user to access imagery across GeoEye's vast archive. [Monday, October 24, 2011] NEEMO-15 crew member Astronaut Shannon Walker says that there will be several tablet computers aboard the next Progress cargo flight to the International Space Station. [Tuesday, October 25, 2011] We are all here to learn from each other how we can even more effectively advance personal and commercial spaceflight - to create high-paying jobs and open up endless possibilities for our economy. [Tuesday, October 25, 2011] Reporters are invited to attend a water impact test of an 18,000-pound Orion test article at NASA's Langley Research Center's Hydro Impact Basin in Hampton, Va., on Thursday, Oct. 27. [Wednesday, October 26, 2011] NASA has posted the third status report on its Commercial Crew Development 2 (CCDev2) program to the agency's Commercial Space Transportation website. [Wednesday, October 26, 2011] On Saturday morning, October 22, 2011, The Tandem airship was launched from Nevada's Black Rock desert. The airship flew to 95,085 feet, higher than any airship in history. [Thursday, October 27, 2011] Excalibur Almaz, Incorporated (EAI), an independently owned U.S. company based in Houston, and NASA have signed an unfunded Space Act Agreement (SAA) for the second development round of NASA's Commercial Crew Program. [Thursday, October 27, 2011] I am writing to you on behalf of our partner to provide you and your colleagues some additional insight into the existing and potential commercial market for orbital human spaceflight. [Thursday, October 27, 2011] ESTO is funding several CubeSat-based technology validations as part of a pathfinder process. ESTO is now interested in defining the parameters of a possible future competitive program to space validate selected Earth science technologies. [Friday, October 28, 2011] There is extreme concern at senior levels of the agency (as expressed to me) that this sad episode has resulted in a black eye for NASA when in fact it was the NASA OIG who was responsible for this mess. [Friday, October 28, 2011] Journalists are invited to attend a major announcement of a new partnership between NASA's Kennedy Space Center in Florida and an outside organization that open NASA's facilities to U.S. commercial space launch service providers. [Friday, October 28, 2011] NASA's NPP satellite built by Ball Aerospace & Technologies Corp. was successfully launched into a sun-synchronous polar orbit this morning at 2:48 PDT (5:48 EDT). [Friday, October 28, 2011] The Flight Readiness Review (FFR) for the Vega launcher was held in Frascati, Italy on October 13 and 14. Based on this review, the Director-General of the European Space Agency (ESA) decided to start the Vega qualification launch campaign. [Friday, October 28, 2011] Elon Musk, CEO and Co-founder of Tesla and CEO and CTO of SpaceX, last night was recognized for Innovator of the Year in Technology by WSJ. Magazine. [Sunday, October 30, 2011] The Rapid Spacecraft Development Office (RSDO) Rapid Spacecraft Acquisition (RAPID III) is a multiple award, IDIQ, Fixed Price type contract, for satellite bus core systems with any necessary modifications to meet specific Mission needs. [Monday, October 31, 2011] Space Florida, the aerospace economic development agency of the state of Florida, is leasing the Orbiter Processing Facility-3 to the Boeing Company to manufacture and test the company's Crew Space Transportation (CST-100) spacecraft. [Monday, October 31, 2011] In order to enhance the benefits of its meteoroid and orbital debris (MMOD) programs, NASA should re-prioritize, re-focus, and expand the programs' efforts, according to a recent report from the National Research Council.